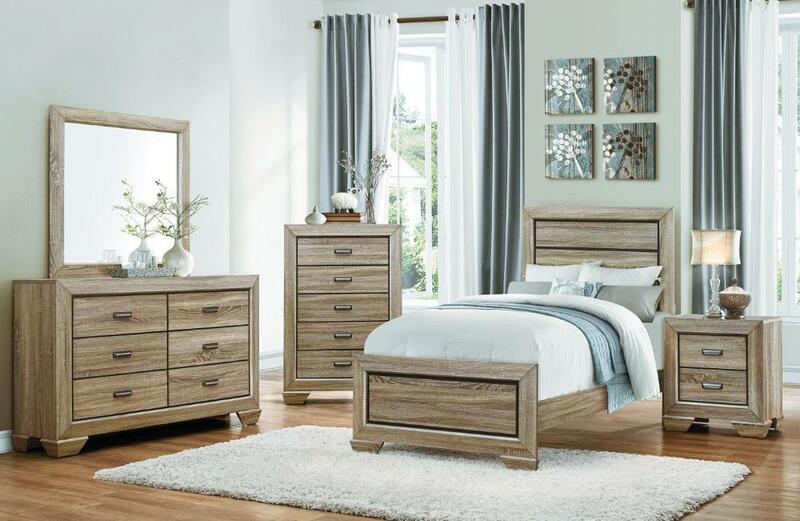 Blending the elements of contemporary design and rustic aesthetic, the Beechnut Collection is a unique addition to your master, youth or guest bedroom. Dark under-paneling serves to highlight the two available finish options: gray or light finish. Both enhancing the embossed faux-wood veneer of the raised panels on the bed and case goods. Contrasting cup hardware punctuates each drawer front. 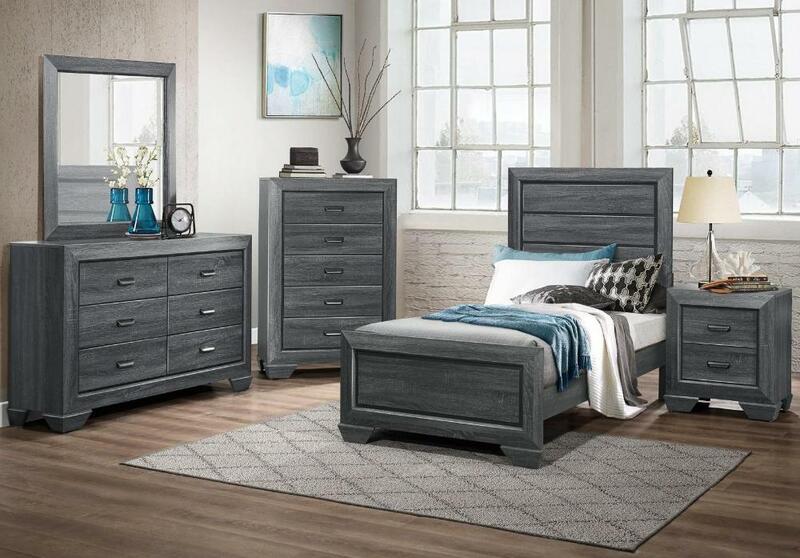 FEATURES: Gray / Rustic Finish ~ Contemporary Style ~ Faux-Wood Veneer Accent ~ Cup Hardware ~ Dovetailed Drawers ~ Metal Glide.